Delta "T" Systems has unveiled its new, next-generation P/T6 Engine Room Ventilation Controller. Ideal for yacht, workboat and military vessel applications, it automatically controls and synchronizes AC-powered intake and exhaust fans to deliver optimal engine room airflow. This maintains correct pressure and temperature at all times for peak engine performance and efficiency, and provides for crew comfort and safety. The P/T6 Engine Room Ventilation Controller is a set-and-forget digital system based on Delta "T" Systems' proven P/T4 Controller. While engines are running, the P/T6 self-adjusts ventilation in Auto Run mode. It uses engine room temperature and pressure readings to continuously control intake and exhaust fan speeds, and maintain the optimum temperature and pressure. Configuration of Delta "T" Systems' P/T6 Engine Room Ventilation Controller is simple using the 6.5" W x 5.25" H touchscreen. The display has enhanced easy-to-read and comprehend color graphics. It connects with an Ethernet cable for straightforward interfacing. It will also interface with the ship's networked monitoring system. Additional screens are available for remote installation. Aside from the P/T6 maximizing engine performance, it also keeps electrical loads and noise levels at a minimum. Upon engine shut down, the system automatically switches to Quiet Run mode. For maintenance within the engine room at dockside, it can be switched to run in Manual mode to provide abundant ventilation for painting or other tasks. 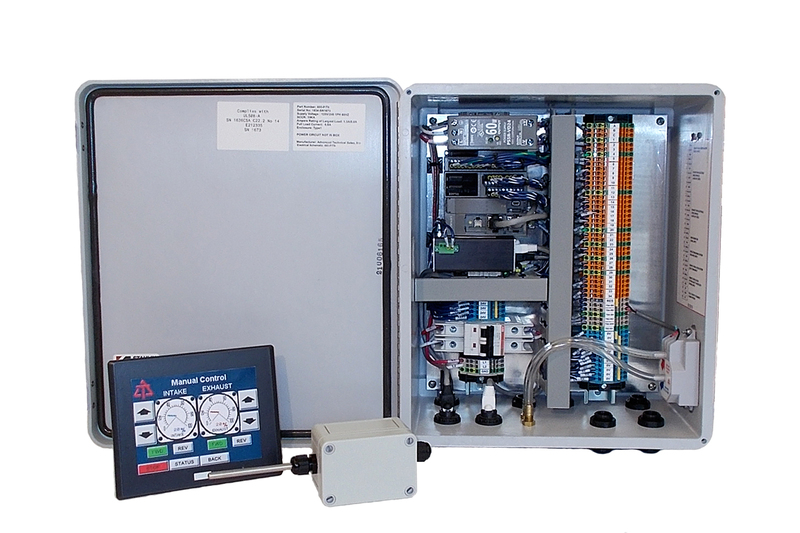 The P/T6 Engine Room Ventilation Controller will connect to a marine fire detection and suppression system. This allows automatic ventilation shutdown while the fire system closes the dampers and releases the extinguishing agent. The controller is contained in a robust 13.48" W x 15" H x 6.2" D housing, typically mounted in the engine room along with a temperature probe. The touchscreen display installs anywhere it's convenient to access. "This is an important advancement in marine ventilation," said Lynn Oien, Delta "T" Systems president. "The P/T6 delivers all the benefits of a digital controller in an easy-to-deploy and -configure package." Delta "T" Systems' innovative marine ventilation has been installed on over 18,000 vessels worldwide. It engineers and manufactures in the USA a full line of fire dampers, axial and duct fans, blowers, louvers, moisture eliminators, weather closures and controls. Contact sales@nordmarine.ca for more information on this new and innovative product.